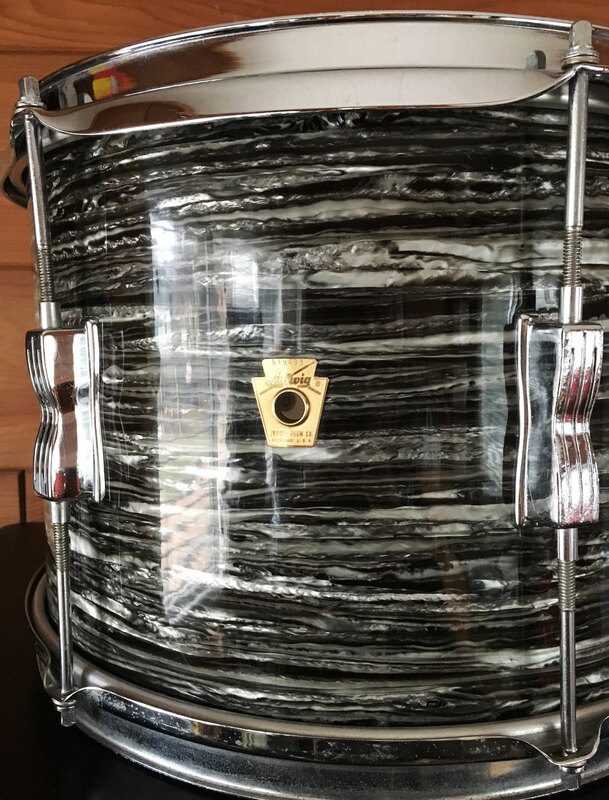 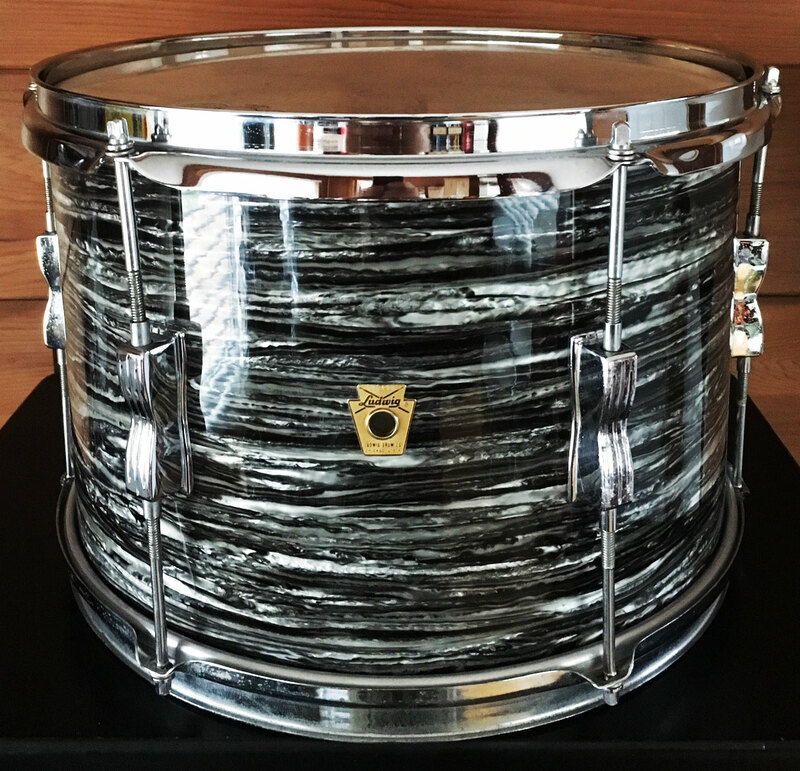 For sale is a great Vintage 1967 Ludwig 13″ Club Date Tom in Oyster Black Pearl. 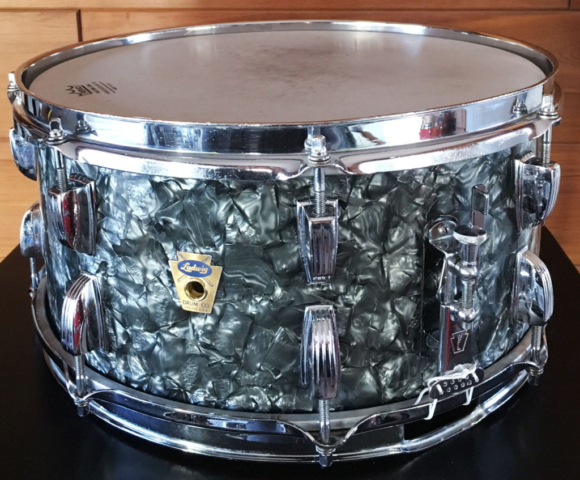 Shell is in-round with nice original bearing edges. 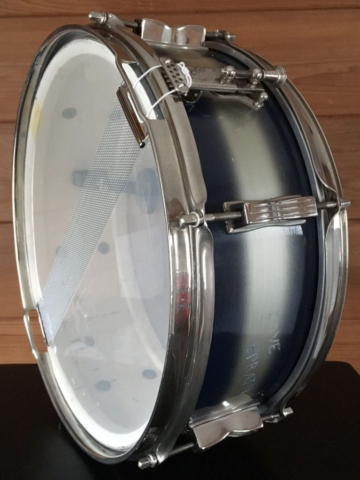 Chrome hardware with chrome over steel hoops have minor oxidation and pitting. Oyster Black Pearl wrap has some scuff and is tight and glossy. 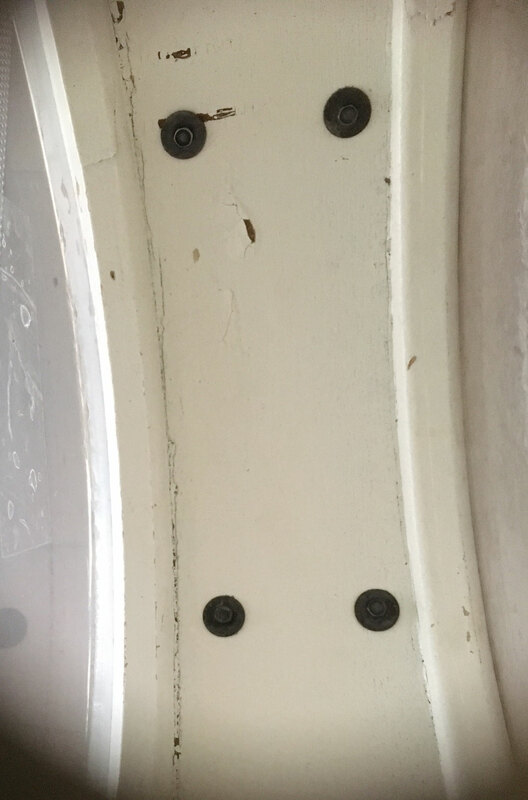 Keystone badge with serial 549498. 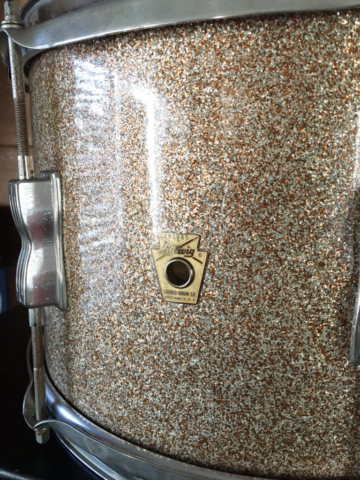 Black date stamp of DEC 12 1967. A great drum to complete any kit! 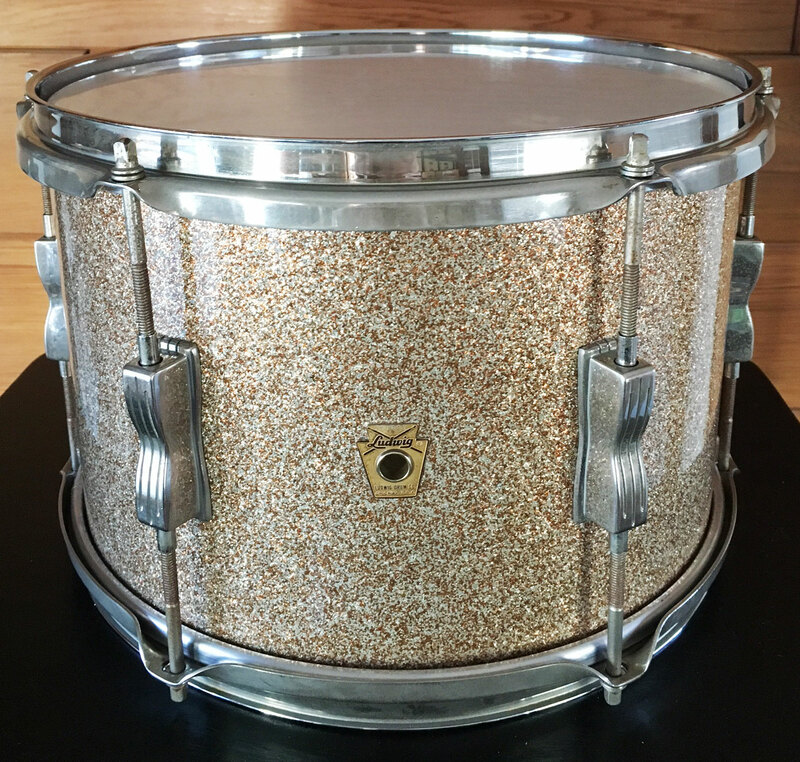 For sale is a sweet Vintage 1965 Ludwig Jazz Fest Snare in Silver Sparkle. Shell is in-round with nice original bearing edges. 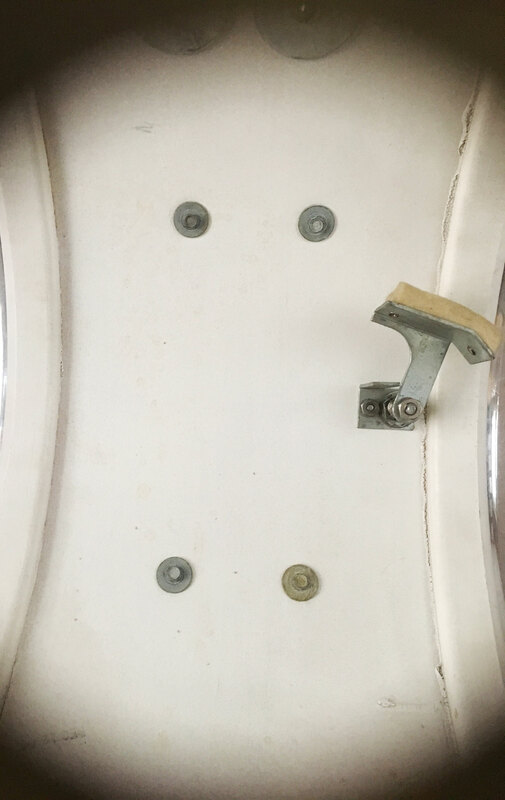 Chrome hardware with chrome over steel hoops have minor oxidation and pitting. 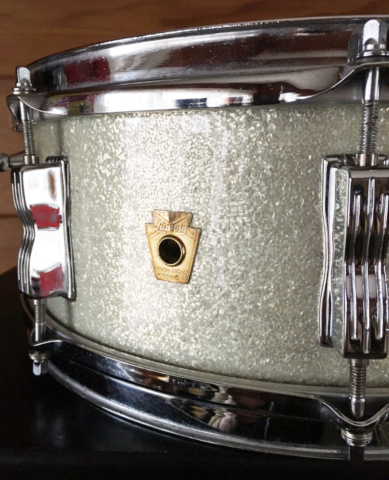 Silver sparkle wrap is a little faded but tight and glossy. Keystone badge with serial 290217. A great players drum in nice shape! 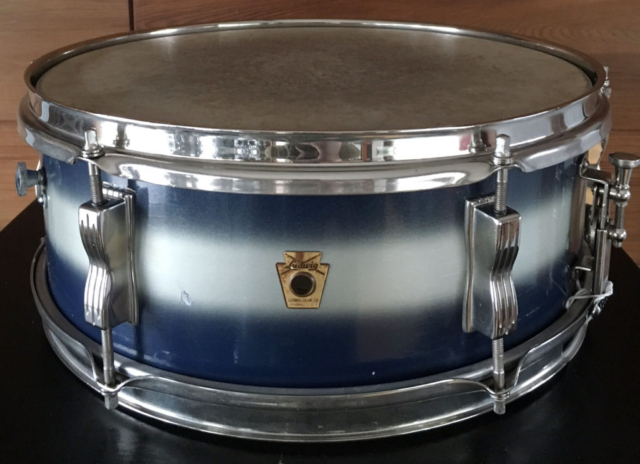 For sale is a nice Vintage Early 1960s Ludwig Pioneer Pre-Serial Snare in Blue/Silver Duco. Shell is in-round with nice original bearing edges. Nickel hardware with nickel over brass hoops. 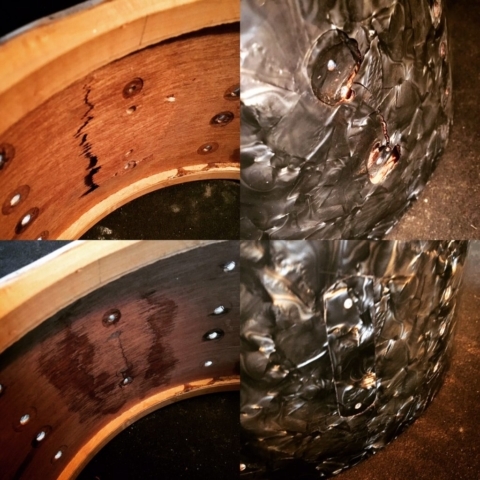 Duco paint has typical spidering and dings here and there. One panel has a name etched into it as seen in photo. Pre-serial keystone badge. Needs new heads. 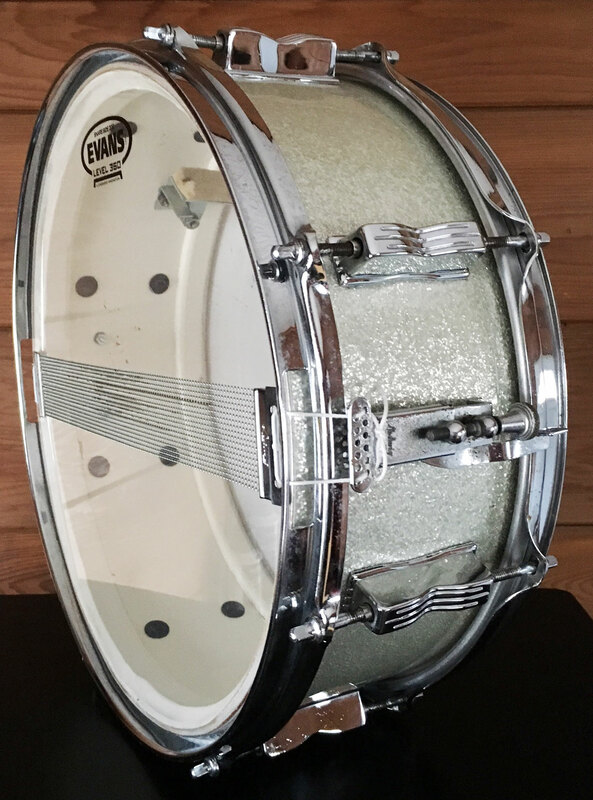 Overall a nice drum! For sale is a beautiful Vintage 1958-1959 Ludwig WFL 6.5×14 School Festival Snare in Black Diamond Pearl in great players shape. 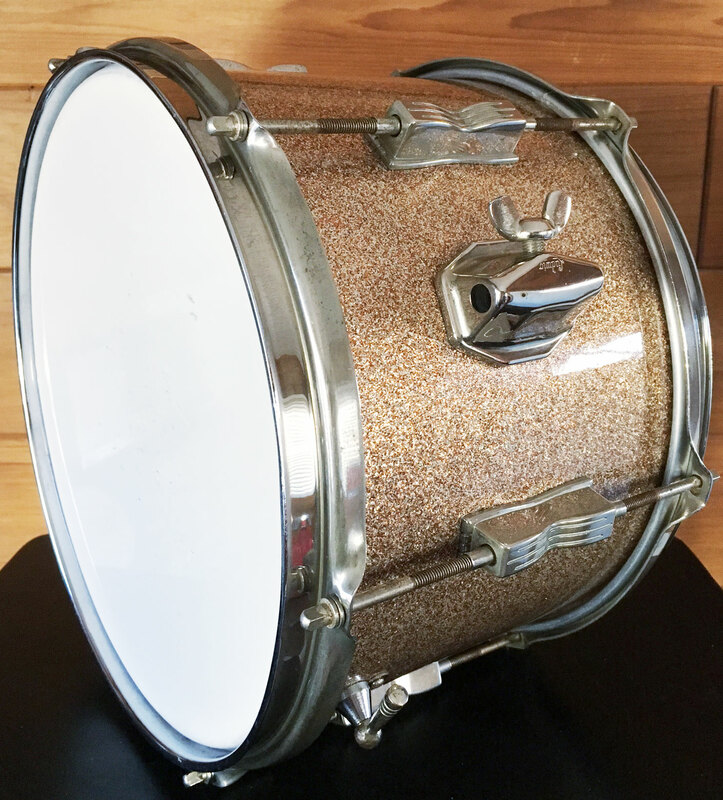 Shell is in-round with nice original bearing edges and mahogany interior with maple re-rings. Wrap is tight and glossy with minimal wear. 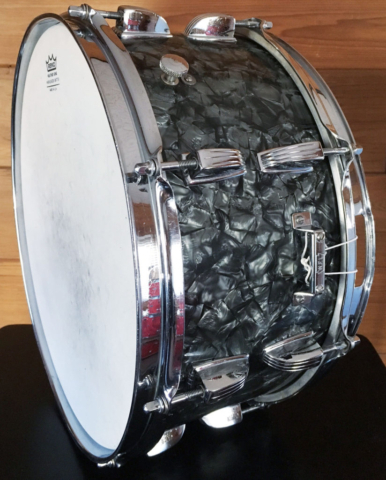 Shell has been repaired and wrap patched in the throw area where it suffered from ply cave-in. 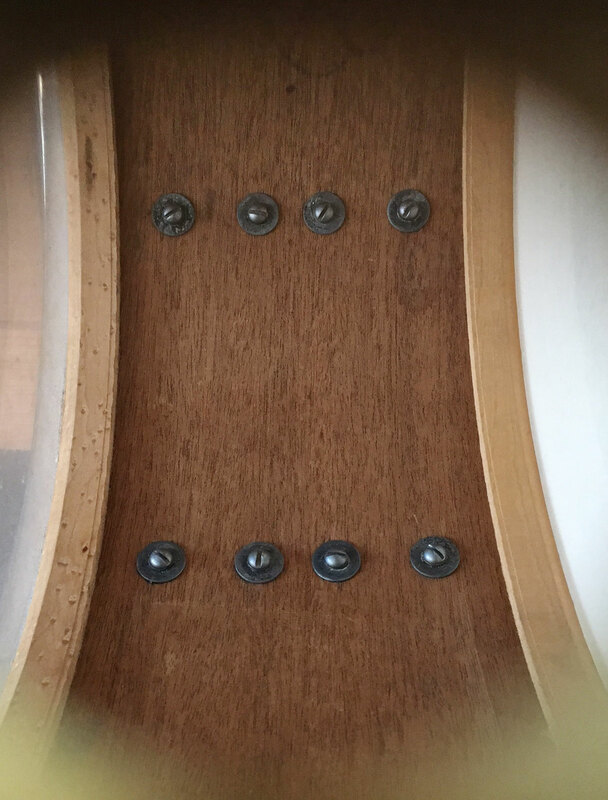 See photos for repair. Chrome has minor oxidation and scuffs. Features chrome over brass hoops. 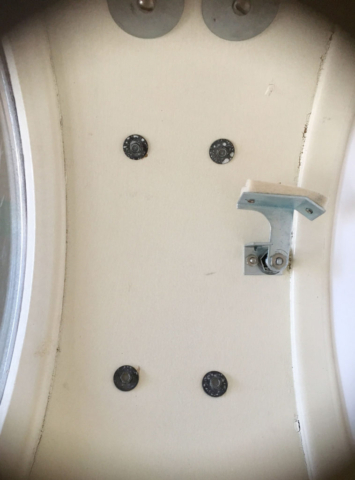 Transitional keystone badge with new replacement grommet. 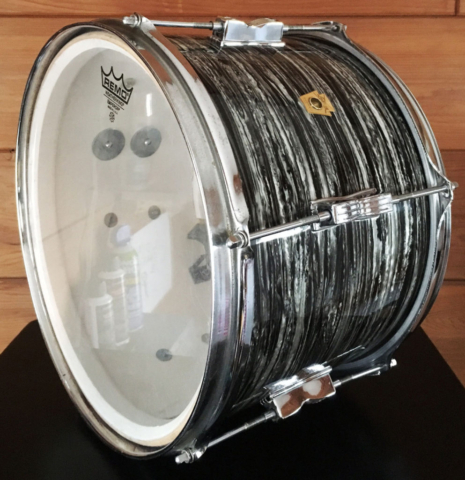 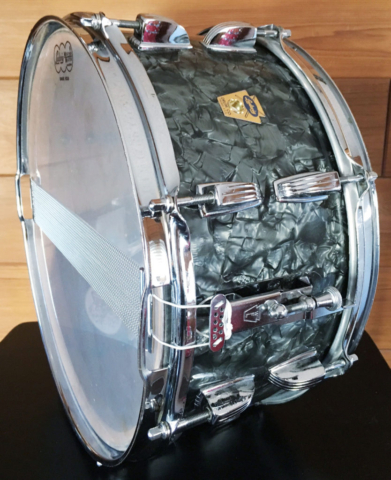 Overall a beautiful looking and sounding snare that has a second chance at life! 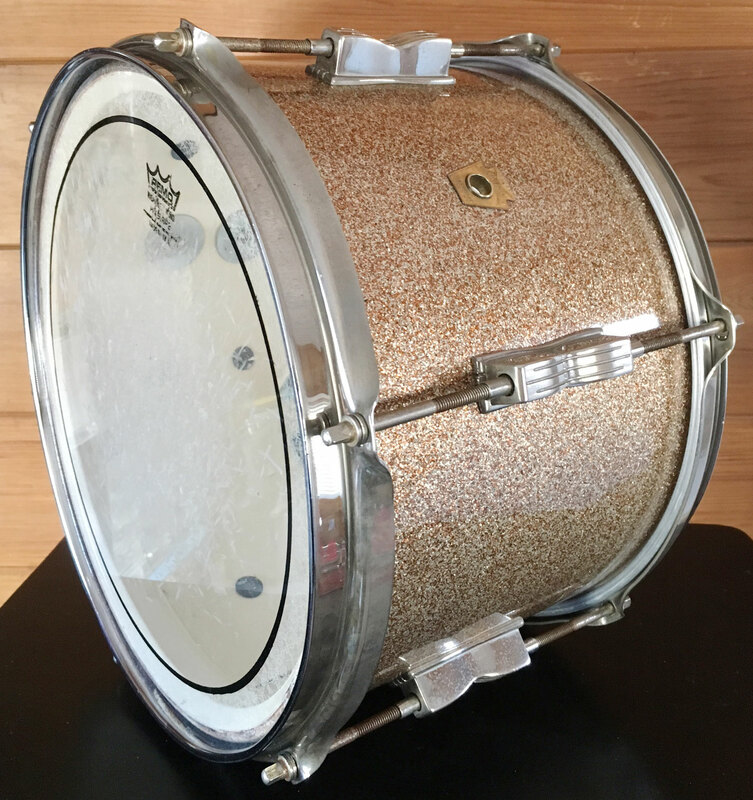 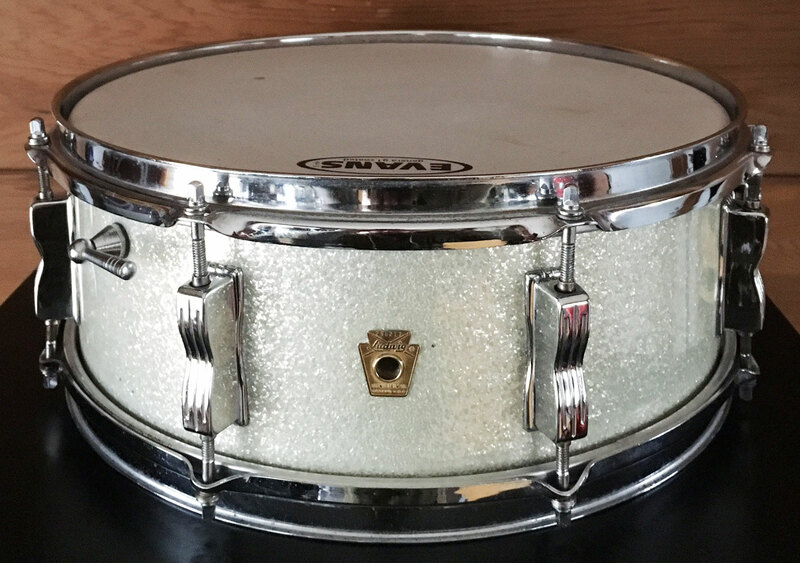 For sale is a nice Vintage 1965 Ludwig 12″ Club Date Tom in Champagne Sparkle in great players shape. 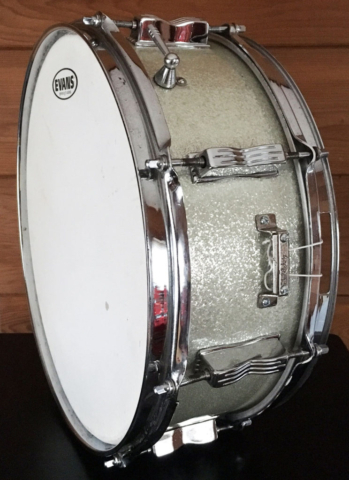 Shell is in-round and in nice shape with original bearing edges and clean interior paint. 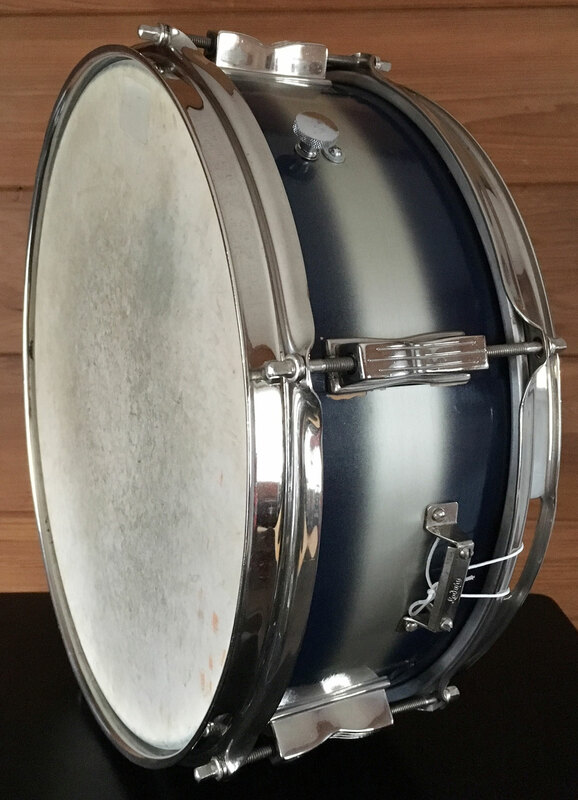 Wrap is tight, glossy and has only minor fade. Nickel hardware has minor oxidation. 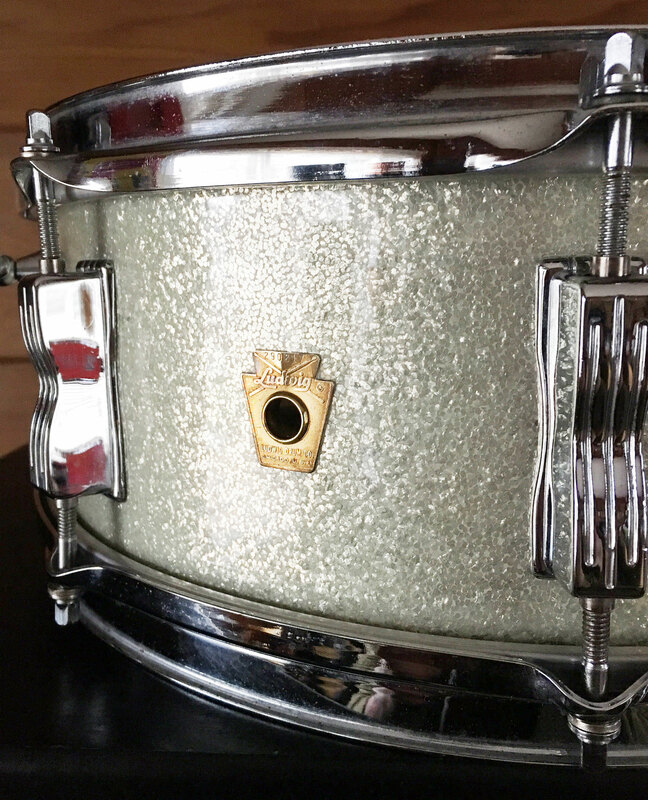 Nickel over brass hoops. 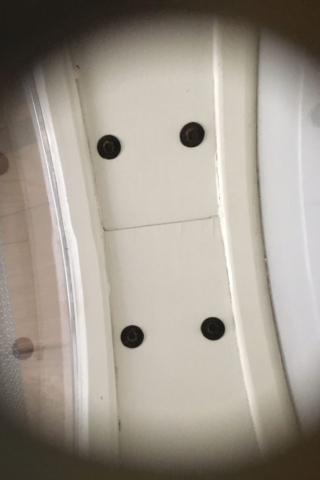 Bottom hoop has small crack starting and is a little bent. 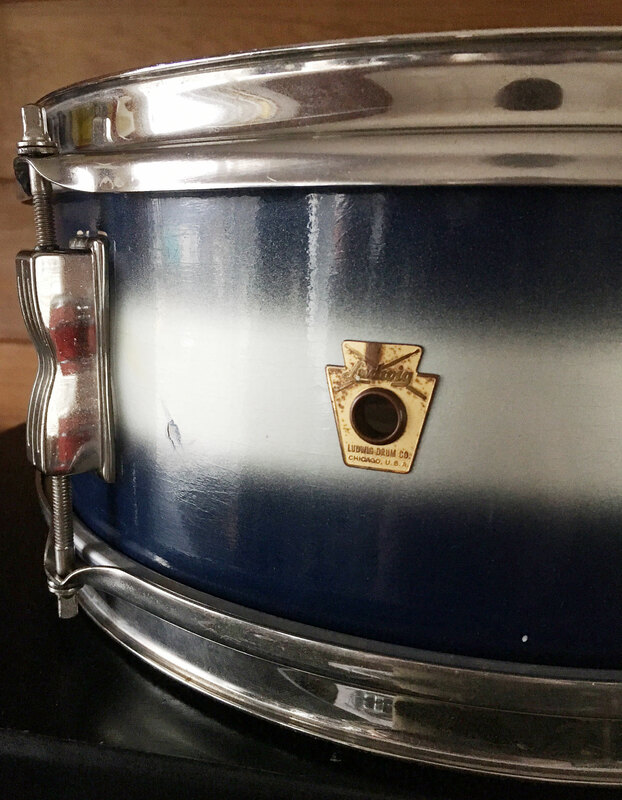 No date stamp present. 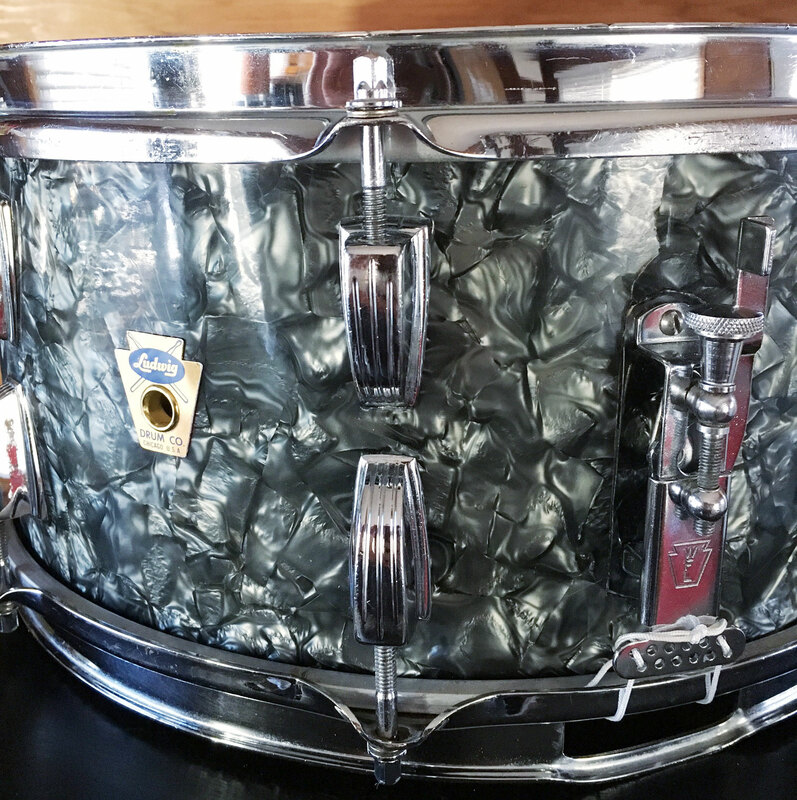 Keystone badge with serial number 291665. 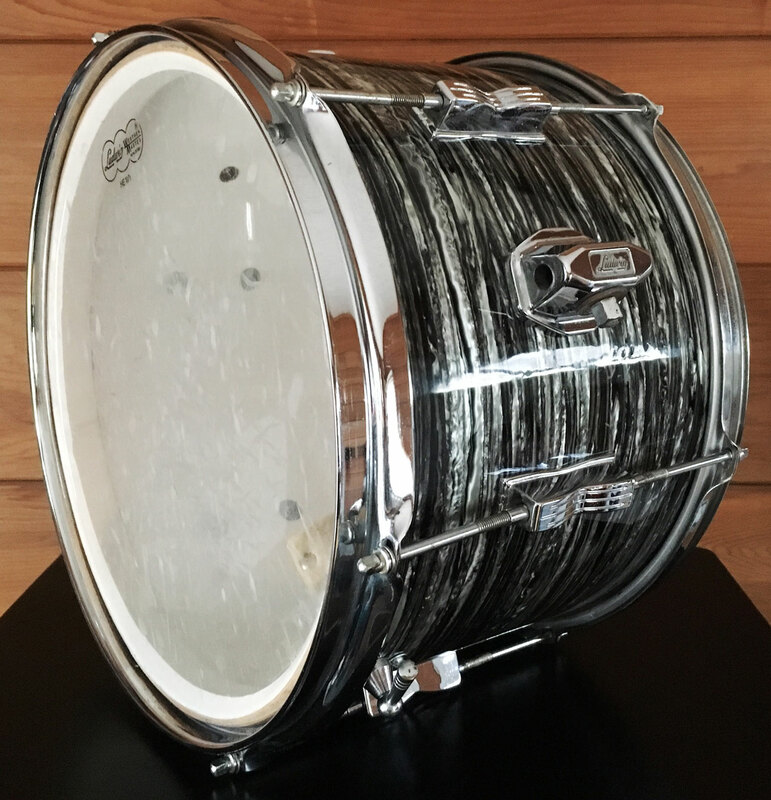 A sweet looking and sounding drum in a beautiful classic finish!